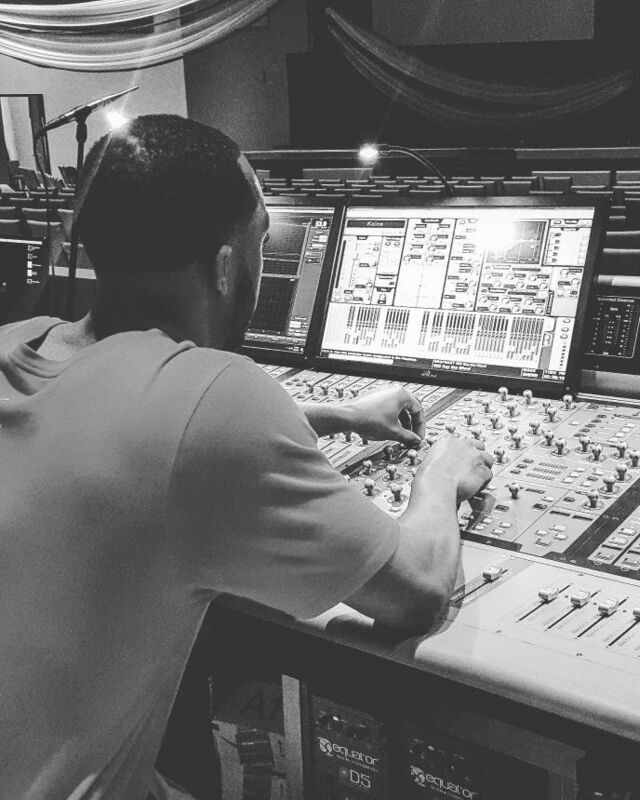 Jalen Booker is a mixing engineer who works with a lot of the east coast Christian Hip Hop scene. He is located in North Carolina, and works out of his home studio. Jalen is known for his unique mixing style, and tenacious work ethic! *I will allow up to three free revisions! A: I am very familiar with the work of audio engineer Jordan Criddle. He works out of his home studio in Kansas City, and I would definitely recommend him to my clients! A: Digital all the way! These days, plugin emulations sound so close to the real thing! Digital is also much more convenient! A: My promise is to work on the mix until it is right! A: I love that this job gives me the flexibility to think creatively. This is the only job that I have ever had that truly challenged me mentally! A: Most commonly, customers ask me how quickly I can turn around a mix. I always answer that it will me 72 hours (maximum) to return a mix to a client! 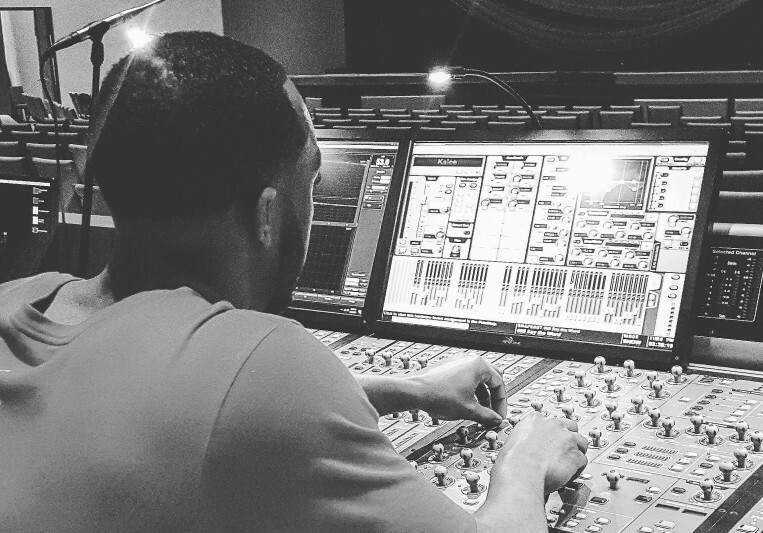 A: The biggest misconception is that an audio engineer can make anything sound magical. An engineer needs good recordings to create a good mix! A: I always ask prospective clients what their vision is for the song/album that I am mixing. As the engineer, it is my duty to take the artist where they want to go with their record. A: I would advise customers to provide as much detail when explaining the vision for their song/album. We are engineers, not mind-readers! A: I would bring my laptop, my Audient iD14, my Sennheiser HD 600's, my studio monitors, and my Shure SM57! A: When I was a senior in high school, I created a senior project based on audio engineering. One of the live sound engineers served as my mentor, and he taught me how to use the mixing console. I took everything that I learned from him, and applied it to the digital realm! A: I pride myself on bringing a sense of urgency to every mix that I receive. This level of focus is required to receive good results! A: When I upload a session into Pro Tools, I always start with gain staging! From there, I will pull up the faders and begin working on a rough balance. A: I would definitely say my mixing style is a product of the 90's. I love for the snare drum to crack! A: I would love to work with KB! The energy that he brings in his music is next level. I really resonate with how passionate he is about his craft. A: One music production tip would be to always maintain headroom. There is no cleaning up a distorted mix! A: Most of the music that I work on is Christian Hip Hop! A: I believe that my strongest skill is communication. When working with clients, it is important to understand the vision that they had for their music! A: I work through a completely digital setup! My audio interface is connected by USB to my laptop. I use the Audient iD14 to power my headphones and monitors. All of my mixing is done through Pro Tools. A: Reach Records is a talented collective that inspires me with their music! A: The most common type of work that I do for my clients is importing their sessions into Pro Tools (on my laptop), and creating an industry-standard mix that we are both pleased with. If you hire me for work, I will deliver you an industry-standard mix within 72 hours! If you are a first-time client, I will mix one session (up to 20 tracks) for free!